Bill McKibben: Why is 350 the most important number in the world? Vigil every day 5pm outside BBC Oxford road, Manchester. Vigil to be held every night until Israel’s criminal attacks cease. Anti Zionist Orthodox Jews: Judaism Yes Zionism No! Columbus, GA – Thousands will gather this weekend, November 21-23, at the gates of Fort Benning, GA for what organizers hope may be the last mass protest to close the controversial School of the Americas, renamed Western Hemisphere Institute for Security Cooperation (SOA/WHINSEC). With 35 Representatives who voted to continue funding the SOA/WHINSEC losing their seats in Congress on November 4th, human rights advocates have their sights set on pressuring the new Congress to permanently shut down the school in 2009. The last vote to defund the SOA/WHINSEC, in 2007, lost by a margin of only six votes. Every November, the annual ‘Vigil to Close the SOA/WHINSEC’ draws thousands of people to the gates of Ft. Benning, the army base which houses the facility. Organizers hope to make the most out of the changing political climate that was revealed during this year’s elections. “We feel qualified optimism,” said SOA Watch founder Fr. Roy Bourgeois. “The American people have rejected the Bush Administration’s policies of aggression, war-mongering and torture. By closing this notorious school of assassins now, Obama and the new Congress can show the world that we genuinely honor human rights.” Hundreds of thousands of Latin Americans have been tortured, raped, assassinated, “disappeared,” massacred, and forced into refugee by those trained at the SOA/WHINSEC. The Declaration of Peace encourages your participation in the following nonviolent action, organized by the National Campaign for Nonviolent Resistance, on November 10, 2008 in Washington, D.C.
Attorney General Mukasey to bring forth an indictment. If the group is denied, some will be risking arrest. Participation in different roles is needed. We have all been awestruck by the Bush-Cheney regime, possibly the most dangerous in U.S. history. We have all marched to protest the criminal excesses of this administration. And we have repeatedly tried to convince our elected officials to take action. However, our pleas for impeachment have been ignored. And now it is October 2008, in the twilight days of the Bush-Cheney administration. This is a situation that demands citizen action before the curtain is drawn on January 20, 2009. So, the National Campaign for Nonviolent Resistance is organizing a presence at the Department of Justice on November 10 to demand an indictment of George W. Bush and Richard Cheney for war crimes. While millions favor impeachment, this act of resistance will probably be relatively small. But it is necessary, and those inspired to take part will be motivated by the Nuremberg obligation to speak out when the government violates the law. Outreach to numerous groups and individuals was made, and agreement was reached on sending a letter to Attorney General Michael Mukasey seeking a meeting to urge the attorney general to move forward with an indictment. The letter was sent on September 26. The letter is a tool to challenge a government agency which has been complicit in aiding and abetting the shredding of the Constitution. On November 10, a delegation will try to enter the DoJ building in order to demand that an indictment process be initiated. Feel free to pose any questions. There will be a planning meeting on Sunday evening November 9, 8:30 p.m. at the Code Pink House at 712 H Street NE, D.C. All who may be risking arrest are expected to attend. Updated: Sept 27, 2008 Derrick Jensen’s appearance in Buffalo is canceled, due to illness. The event is still going on. Join us in this opportunity to explore food security and food politics in creative, thoughtful, and hands-on ways! Derrick Jensen’s critique of civilization, expressed partly in his axiom, “Dismantle globally, renew locally,” is a rally call-both visionary and instructive: To unflinchingly acknowledge the collapse of safety, security, and sovereignty with regard to food, water, and shelter infrastructures; to boldly explore historical underpinnings of these threats relative to the unsustainability of industrial agriculture; to passionately resist and dismantle these destructive systems, ensuring the planet’s restoration and the survival of the greatest numbers of all species beyond the present global environmental crisis. Your registration fee provides an organic, vegetarian lunch, over 15? workshops from which to select, keynote presentation, vendor browsing, demonstrations and networking. 5:00PM Close Note: Workshops run ca. 1hr. Q & A will run ca. 1 ½ hours. Vendor and Educational Displays will run throughout. Check the website http://www.worldonyourplate.org/ for more information about Workshops, as they are developed. There will be music, literature tables, fair-trade and organic vendors, plus other opportunities for advocacy in support of alternatives for sustainable living throughout the day. Riverside-Salem UCC/DC Our faith is rooted in the ancient struggle for social justice and Jesus’ law of love in social relationships. We believe in the integrity of creation, justice and peace; in the dignity and value of labor; in working in interfaith networks and coalitions. We are an Open and Affirming congregation. We work for sustainable development. We give thanks for heaven and earth, the diversity of species, the song of hope, the beauty of being, the dynamic of love. “Come to the table,” Slow Food Nation invited. And come to San Francisco over Labor Day weekend they did–around 50,000 people attending perhaps the largest food celebration in American history. Tables and straw bales appeared in the heart of the city’s Civic Center around a victory garden on about a quarter of an acre that had replaced a lawn. It was surrounded by a huge marketplace, which was like an old-fashioned farmers’ market that gets food directly from the farm to the fork, bypassing corporate super-markets. A couple of miles away by the Bay at Ft. Mason–inside an old military hangar stretching over the length of a couple of football field–people strolled down a long aisle to taste fresh seafood, chocolate, wine, olives, ice cream, Indian bread and other delightful options. They could also attend free film showings and rock concerts at the former military base transformed into a cultural center. Meanwhile, inside large auditoriums and smaller meeting rooms people discussed the growing global food crisis, how to respond to it, and imagined possible futures for farming. The final panel included the following key voices in the growing world-wide sustainable agriculture movement: Italian Carlo Petri, the founder of Slow Food in l986, physicist Vandana Shiva from India, Kentucky poet and author Wendell Berry, UC Berkeley professor Michael Pollan, Alice Waters of Chez Panisse Restaurant, and “Fast Food Nation” author Eric Schloesser. You can donate online with a credit card. All donations are secure and sent directly to Farm Sanctuary by Firstgiving, who will email you a printable record of your donation. Please send my page on to anyone who might like to donate! Since we can’t end factory farming TODAY, please give what you can to help alleviate some of our non-human animal brethren’s suffering. It’s very easy to support Jason online – visit: http://www.firstgiving.com/jasonmiller to make a donation. It takes a matter of minutes, is totally secure and you can even leave a message with your donation. Slow Food Nation leader Alice Waters–founder of Berkeley’s famous Chez Panisse Restaurant and author of eight food books–spoke at the small town (8,000 people) Sebastopol Farmers’ Market in Northern California August 3. She was interviewed about the August 29-31 SFN celebration to happen around San Francisco by KRCB public radio host Michelle Anna Jordan for her “Mouthful” program to run that evening. “Gravensteins are a tasty apple that got left behind,” Waters explained. The delicious “Grav” apple is at risk of becoming an endangered species. “Save the Gravensteins!” bumper stickers made by Slow Food and Community Alliance with Family Famers (CAFF) are popping up around the country. Slow Food has accepted the Sebastopol Grav as one of the traditional foods to which it gives attention to protect it from extinction. SFN’s “Come to the Table” call has garnered significant media attention. The New York Times (July 23) and San Francisco Chronicle (June 30) have each published long articles about the gathering that has a budget of some $2 million dollars. Some of its public events have already sold out. Its main events are a Food for Thought speaker series, taste pavilions, a marketplace showcasing 60 local farmers and artisans, and the victory garden. Live music will be performed across town at the Ft. Mason meadow, an appropriate place to make “swords into plowshares.” Special events include dinners, art, journeys, and hikes. Some are free, whereas others require tickets. Slow Food was started by the Italian Carlo Petrini in l986 to protest McDonald’s and its fast food culture. It advocates traditional agriculture and food preparation and consumption, which differ from how many in the U.S. deal with food. SFN is the first such large gathering in the U.S.; it is modeled after events in Europe that have drawn thousands to Terra Madre gatherings. The speaker series includes some of the leading voices in the growing global sustainable agriculture and food movement, such as Petrini, physicist Vandana Shiva of India, Kentucky author and farmer Wendell Berry, University of California at Berkeley professor and author Michael Pollan, author Raj Patel, Native American leader Winona LaDuke, “Fast Food Nation” author Eric Schlosser, and the Land Institute’s Wes Jackson of Kansas. Their topics include “The World Food Crisis,” “Building a New Food System,” “Re-Localizing Food,” “Climate Change and Food,” and “Edible Education.” Award-winning short films and documentaries will also be shown. “Slow food is the opposite of fast food. It is food that comes from local, sustainable farms,” Temple writes in the SSU campus newspaper. “We intend to raise awareness about the profound effects of our food choices on the environment, on our health and on issues of social justice,” he adds. Some have criticized Slow Food for being elitist and catering to an older crowd that can afford better food and attend its sometimes-expensive dinners and gatherings. Temple represents a younger generation in the Slow Food Movement raising various challenges. “The current industrial model will soon fail for its heavy dependency on homogeneity and petroleum. As such, slow food is about survival,” asserts Temple. By-invitation-only events include a Changemakers Day and a National Congress. Around 600 participants will attend the August 29 Changemakers Day “designed for our nation’s food system leaders.” It will include “26 dynamic presentations on topics ranging from the viability of rare breeds to the nuts and bolts of engaging our isolated urban and rural communities in the sustainable food movement.” Its seeks “to inspire leaders to knit new and diverse networks” and “lay the groundwork for more concrete, inclusive and effective collaboration in the sustainable food and farming movement,” according to its website http://www.slowfoodnation.org. The organizers expect “the clash of ideas, critical thinking from incisive minds, and inspiring dialog.” The Changemakers Day emerged from a February Town Hall meeting composed of people from SFN and Roots of Change, a San Francisco co-sponsor of SFN. Panels include the following: “Rising Seas, Shrinking Catch;” “Triple-Bottom Line,” referring to social, environmental, and financial return to investors; “Preserving the Land Base;” “Ensuring Diversity;” “Nutrition for All: Improving Community Health;” “Rich Diet, Poor Communities;” “Going Local;” “Help Wanted: 50 Million New Farmers;” and “Reframing the Slow Food Conversation” to work more for social justice. Food, after all, is much more than something you just eat. It has traditionally drawn families, friends, and communities together. Agri-culture is at the base of culture. The preparation and sharing of food and drink creates and sustains culture. “I discovered Tierra Vegetables last December while shopping,” Mary Killian explained near the Slow Food table. “They have a delicious heritage bean. They so inspired me that I bought them as Christmas presents and included information about Slow Food.” Slow Food also provides heritage turkeys from Sonoma County, one of its most active chapters. Networking is common at Slow Food events. One grower at the Sebastopol market, Deborah Ramelli-Toth of Gratitude Gardens, was proudly carrying a couple dozen free-range eggs, though she has no chickens. “I traded them for tomatoes, of which I have many,” she explained. She also made arrangements to share her canning equipment with a friend, Deb Kindy, who lives nearby in another town. “We’ve been writing a declaration and petition calling for a new national food policy,” explained Michael Dimock at the SFN table at the Sebastopol Farmers’ Market on July 27. Dimock has chaired Slow Food USA, been active in California Alliance for Family Farmers (CAFF), and is president of Roots of Change. “We need healthy food and agriculture,” Dimock asserted. The declaration will be released Aug. 28 and will include a preamble, set of principles, and call to action. The August 28 National Congress is composed of 300 delegates who represent the 16,000 U.S. members of the international Slow Food Movement, which has over 86,000 members in more than 100 countries. They are organized into what internationally are called convivium and are beginning to be called chapters here in the U.S., where there are around 200. The Congress takes place every four years. Participants will engage in peer-to-peer networking and in leadership training and professional development. They will also vote on revisions to the National Statue. This year, for the first time, 35 Slow Food in Schools projects leaders will meet to discuss their garden-to-table efforts. Direct democracy is important to the Slow Food Movement. When asked about the leadership of the Russian River Slow Food chapter in Sonoma County, Paula Shatkin explained that they have a leadership team of eleven persons, who do not have a hierarchy. This coming weekend — July 19-21 — people around the country will be participating in the Days of Local Action initiated by the UFPJ Iran Working Group. Now, before any irreversible steps are taken, is the time for us to speak out against any U.S./Israeli military attack on Iran. 1) On Monday, July 21st, join the nationwide call-in day to make sure your member of Congress knows there is strong opposition to military action against Iran in his or her district. Pressure on Congress is critical right now as it considers H.Con.Res. 362. 102 House Democrats and 117 Republicans have cosponsored a resolution against Iran that demands President Bush “initiate an international effort” to impose a land, sea, and air blockade on Iran to prevent it from importing gasoline and to inspect all cargo entering or leaving Iran. Imposing such a blockade without UN authority could be widely construed as an act of war. We have already heard about 2 representatives who were convinced by their local anti-war groups to remove their names as co-sponsors of this dangerous resolution! Click here to read more about the work of one of these groups. 2) Ask your mayor to sign on to a resolution urging the Bush administration to pursue diplomatic engagement with Iran. At least 36 mayors have already signed on — now is the time to approach your mayor! For more information visit the Cities for Peace website. 3) Write letters to the editor of your local papers and to call into local radio talk shows, especially during the July 19- 21 Days of Action. Click here for a sample letter. 4) Sign the open letter to presidential candidate Sen. Barack Obama urging him to stand up for diplomacy. 5) You can organize a visible presence in a busy location in your town: a vigil, an afternoon of leafleting or tabling, a human billboard, etc. Be sure to pick a time and location that has a lot of pedestrian or vehicle traffic! To find out what might be happening in your area, click here.If you plan an activity, please post it on the UFPJ calendar of actions.Many of this Friday’s Iraq Moratorium events will be focusing on Iran as well. Keep checking the UFPJ website for new organizing and educational resources. Is Iran a “threat to peace and security”? What are Iran’s nuclear rights? + What did A. Q. Khan sell to Iran? Iran: Battlefront In The New World War? Iraq war footage with “The New National Anthem” by Strata playing in the background…. The stuff you are about to see is 100% real. WARNING: some of the footage in the following video may be graphic and disturbing, but it’s happening every day and we can’t ignore that. DISCLAIMER: I made this video. It isn’t affiliated with STRATA. 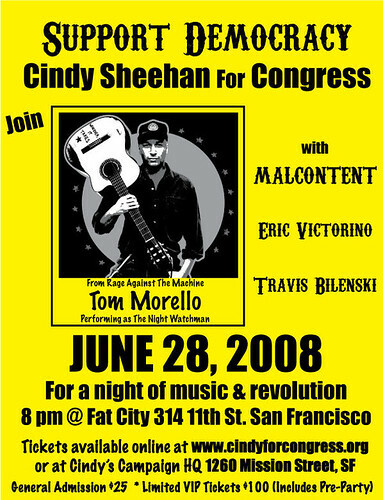 Posted in Dandelion Salad News or Politics, Dandelion Salad Videos, Event, Featured Writers, Iraq, Music, Musicians - Bands, Politics	| Tagged Cindy Sheehan, Music-Musicians-Bands on Dandelion Salad, Sheehan-Cindy, Sheehan-Cindy L. M.
Join The Real News Network Team on Tuesday 24 June, 2008. Call in or just watch from The Real News Network as we broadcast live to you, answering your questions and talking to you about the issues that concern you. Talk with our journalists, our communications team or our post-production members about how we construct our stories. Ask our producers about the stories they are working on, or suggest others they could follow. Discuss our development with CEO and Senior Editor, Paul Jay and the rest of our management team. We can’t wait to hear what you have to say and answer any question you may have, while streaming LIVE to the web world at The Real News Network. This is just the beginning. We know this time is not ideal for all of our members. We will schedule a date soon for more discussions. Updated: June 3, 2008 added another video. The Coalition On Political Assassinations will be hosting a conference on the assassination of Senator Robert Kennedy from June 6-8 in Los Angeles. Speakers include William Pepper, Philip Van Praag, Robert Joling, Paul Schrade, Cynthia McKinney and many others. More information about location, registration and speakers at our website. Live broadcast of the conference on Friday night, visit our website for details. Please consider a donation via our website to support our work. Sent to me by radioroxanne. May 23-25, 2008, in Burlington NJ. We live in the most destructive culture to ever exist. In Derrick’s talks around the country he repeatedly asks his audiences, “Does anyone think this culture will voluntarily transform to a sustainable way of living?” No one ever says yes. If we really accept the seriousness of the situation, what would that mean for our strategy and tactics? This is the urgent question we will be exploring over the weekend. Workshop will includes meals (Friday dinner through Sunday lunch) and dorm-style lodging at the Burlington Meeting House in Burlington, NJ. Scholarships and work exchange available. 5 Years of War and Occupation is 5 Years Too Many! Organize ~ Publicize ~ Plan ~ Prepare … Now! The Declaration of Peace and United for Peace and Justice encourage your participation in the nonviolent actions that are being organized in Washington, D.C. and across the country during the 5th anniversary of the U.S. invasion of Iraq. “5 Years Too Many” e-mails. 1. * What will March 19th look like in Washington, D.C.
4. **** “5 Years Too Many” Conference Call ~ March 10th, 8:00 p.m.
* What will March 19th look like in Washington, D.C. ? Focusing on confronting the pillars of war, the nonviolent actions in Washington, D.C. will take place at multiple sites, demonstrating the real costs of war and offering visions for a more just and sustainable world, a world at Peace. United by common demands and organizing principles, numerous organizations, including CodePink; War Resisters League; No War No Warming; Peace Action; Students for a Democratic Society; Student Peace Action Network; Veterans for Peace; Raging Grannies; Activist Response Team; Iraq Veterans Against the War; World Can’t Wait; and others are organizing several events and nonviolent actions around Capitol Hill. ~ And more … Click here for more details. We’re looking forward to seeing people from all 50 states in D.C. on March 19th, for a powerful day of coordinated, nonviolent action for Peace in Iraq. What state will you represent in D.C.? 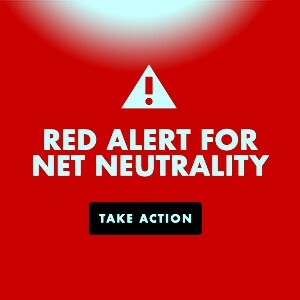 ~ Click here to sign up for the actions in D.C. on March 19th. We encourage those who are not able to make it to D.C. on March 19th to organize and participate in local actions to send a powerful message to the policy makers: It is time to end this war and occupation, NOW! What is being organized in your area? ~ Find events in your area on the “5 Years Too Many” event calendar and on The Declaration of Peace event calendar. ~ Post your events to the “5 Years Too Many” event calendar and to The Declaration of Peace event calendar. Watch and share these powerful videos. Monday, March 10 at 8 p.m. The Declaration of Peace invites you to join us on a facilitated conference call on March 10th to talk to activists and organizers across the country, to share inspiration and ideas. Every one of you will matter on March 19th, whether you come to D.C. or organize a local action. The more people who are actively engaged on March 19th, the stronger the message we will send that day. What will you be doing on March 19th? Join the call on March 10th. Please forward this e-mail to your friends, organizations, listservs. etc.